We strive to ensure that each client feels they have been well represented, looked after and listened to. Additional information about our services is available on nationallegalservice.co.uk. For a confidential & no obligation consult, contact us on +44 (0)203 601 5051. Harun is a Londoner who has studied, qualified and practised here. 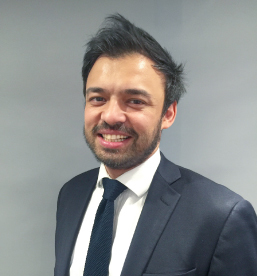 As a trainee, he found a great interest in Criminal Law whilst undertaking work to assist the Solicitors on the well-known Baby P case that made national news. Once he qualified, he continued in the Criminal Law Department of an established firm in London and became a passionate and ambitious lawyer in the police stations and Magistrates courts. Seeing his strengths as a Solicitor, Harun was not only instructed in other high profile cases such as a complex multimillion pound Fraud against O2 the network provider and the M1 arson case, causing more than £4million of damage, but also developed a working knowledge of Extradition laws and has continued pursuing this.